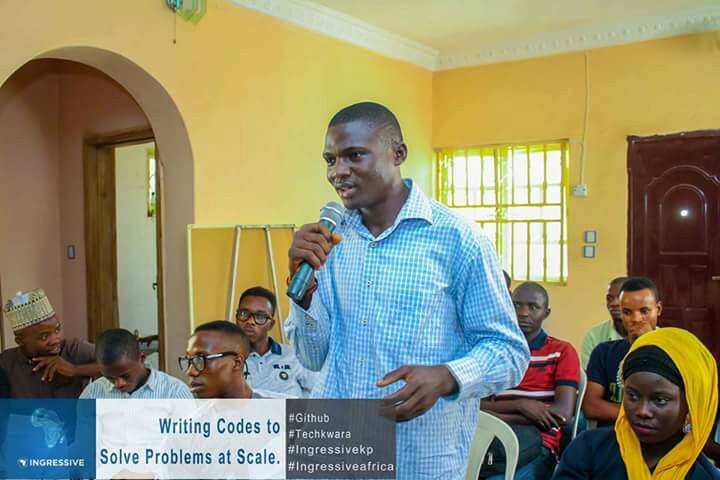 February 3, 2018 was a great day at Mal Hub, a pleasant day to always remember in the history of Kwaran students, the day developers from various campuses united to learn how to write code to solve problems at scale using the mighty GitHub tools. The event was a great success, with over 40 developers from different institutions across Kwara State in attendance including students of @Unilorin. it was highly impactful with lot of motivational speech from speakers who talked on various topics to improve their coding skills. The settings was cool, registrations was well conducted by the volunteers and participants received GitHub Swags without no stress. Kamaldeen Yusuf kick start the event by introducing members to the importance of GitHub and the great job Ingressive tech community is doing to assist developers in Africa. 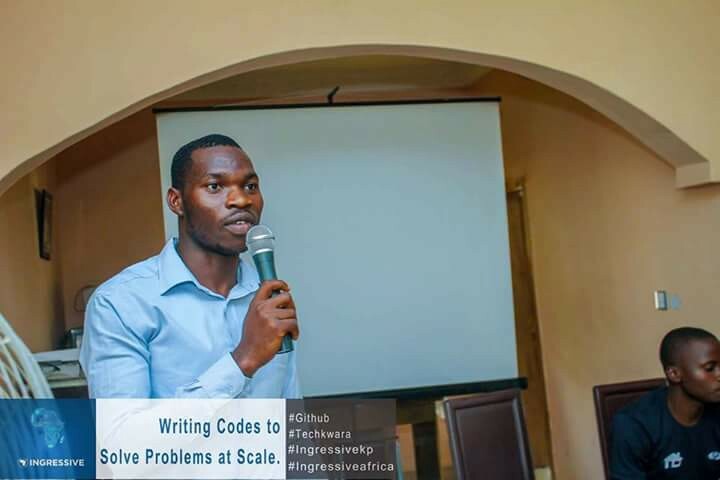 He also emphasize on the roles of Ingressive Campus Ambassadors and why developers should leverage on GitHub to build amazing projects that can meet up with the global standard. Ajala Abdulsamii sensitized participants with a very beautiful presentation, taking them through various ways of enhancing their workflow using GitHub,at the end of his presentation, various questions were answered by the tech evangelist which gives participants broad ideas about how GitHub works in real live projects. He also asked some various code questions from participants, given them the chance to redeem the GitHub t-shirt if questions were answered correctly. Olabamiji Ibrahim, the CEO of robust technology spoke on determination as a strong weapon to achieve all in tech ecosystem. He made us realize that one needs to be determined and be submissive in other to achieve something great in life. He said that determination could be a topic on its own if vividly studied because being determined is said to have a potential power that kills other obstacles that wants to find its way to ruin the dream you are chasing. He cited an example about his late friend who was always determined to achieve something in life. Abdullateef Bolaji, the CEO Iqra Books Limited spoke on knowing your limit isn’t crime, it’s a crime when you stop dreaming. In his presentation, he focus more on how to dream big. Everyone dreams but not everyone put it into action. How to attain such dream is quite easy and he discuss some of the ways to attain it. Idea is a powerful weapon when it comes to basic strategies to attain one’s dream. He quotes that “if your idea is not stupid, then you haven’t provided a great idea yet”. The more you explore nature, the more you have insight about your existence in this world. Nature is science, a general term that explains the essence of our being. Nature, in its splendor, is also an art that we cannot do without. Most people react strangely to children learning to code in the digital skill’s field. They tend to harbour the belief that coding is a too complex thing for kids to comprehend, and that learning it will never impact on them, seeing it rather as a waste of time and effort. There are, however, a few who feel otherwise, believing that it’s a great skill that kids can latch upon, as soon as they can; opining that it did be a great impetus for them to succeed and be relevant in this dynamic world of innovation. Micheal Jackson, who happened to be the youngest of the Jackson Five, started off early in his musical career, ended up been the best in later years. The Williams sisters, Serena and Venus, are also clear examples in the tennis world. Bill Joy and Bill Gates are clear examples of youths who started off relatively young in the digital world and today history accords them a pride of place in that field. The dictum, therefore, should be, ‘catch them young’. 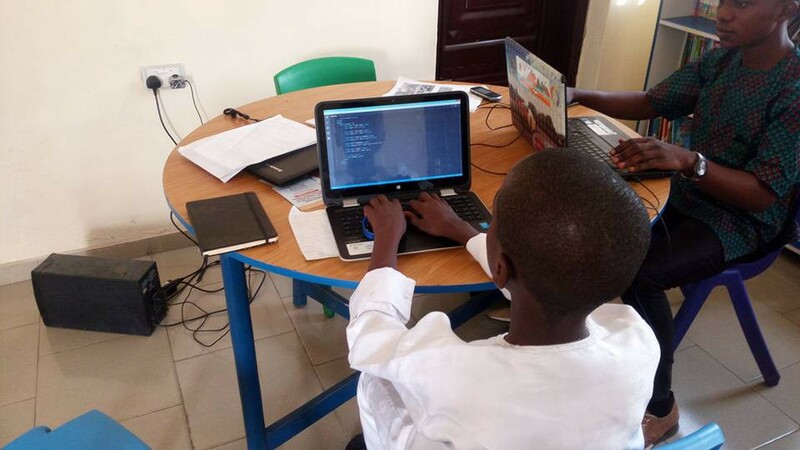 At the MAL Hub, Nigeria, we believe and support the ideas of teaching kids to code because of the numerous benefits kids can get from learning to code at an early age. This belief inspires me to write a story about a 10 years boy who found coding a hobby and aims to one day build a special application for his school. Ojeniyi Ramadan was born on the 12th of October, 2007. He is a native of Lagos state, Nigeria. For his pre-primary schooling he attended Addoshom and Flowyemo in Lagos from 2008–2009. In the same year, 2009, he began his primary education at Everlead school in Lagos. His favorite food is rice and chicken, while his favourite wears are his red jacket and a smart trouser. He also loves to read books and play football. 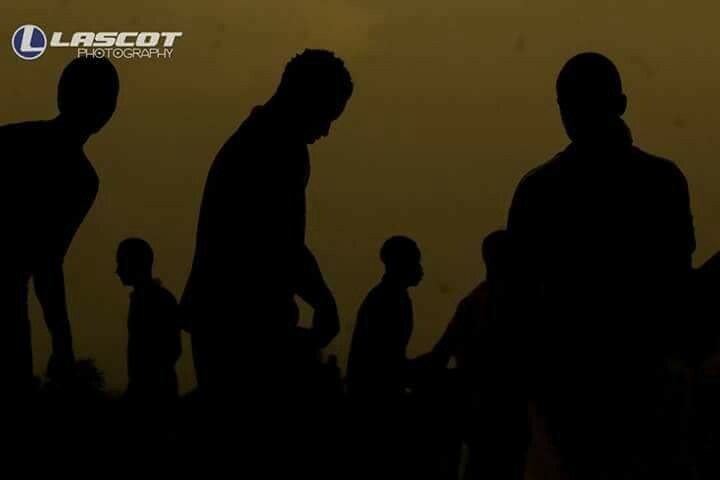 Ramadan is already showing of qualities of a good leader at early age which had earned him the position of a class captain and his school’s head boy. He is very passionate young man and always eager to acquire new knowledge. 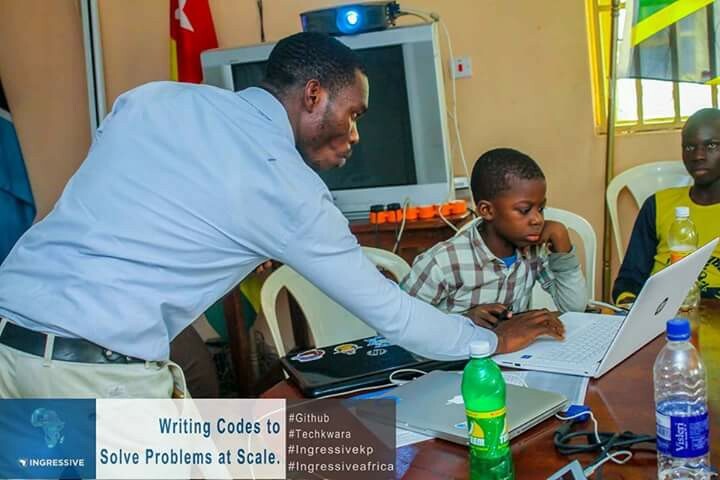 The Journey to becoming a world class young programmer started during his short term holiday on the 19th of December, 2017, when he enrolled for a basic course in computer skills acquisition programme at the MAL Hub. In no time, he had mastered the computer typing skills and by the first week of his training, he was on to the HTML 5 of the training. 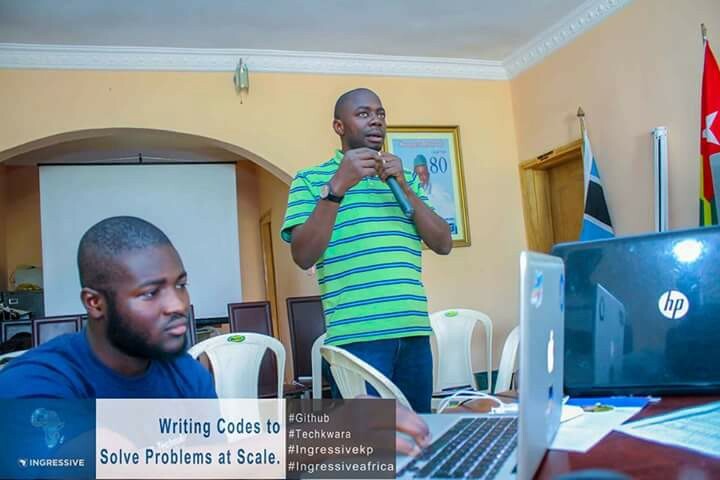 By the second week of his training he had started writing his first line of code. He was just too excited and happy with his first output: “Hello World” statement was displayed on the local browser. He is a quite focused and determined to feature it on the world wide web where the world can access it. I am so inspired by this three quotes, it made me ponder about the future of technology considering the rate at which kids of today are becoming more technology savvy. For Ojeniyi Ramadan, I believe he is taking a step in the right direction. Assuredly, a true motivator in his own right, I believe his family will have every course to be proud of him now and in the future. Many a parent need to learn from this example and also seek to inspire their wards to pick up programming at an early age; not only will it help develop their ability in the logical reasoning process, but it will also, inevitably, help broaden their horizons in technological areas that are essential to their existence on this planet. Ramadan’s HTML 5 portfolio page: https://malhub.com.ng/ramadan. kindly comment, clap and share if you find this story inspiring. Kwara State is gradually becoming a home for technology innovation, considering the rate at which youths are embracing the digital skills and striving to make impact in the global economy. Few years ago, only but a few youths in Kwara state were into the tech field, unlike Lagos state that had gone far ahead of any other state in developing the tech ecosystem in Nigeria. However, a lot has certainly changed within short span in Kwara State which is now endowed with a new crop of talented youths who are employing the use of digital skills to solve social problems locally and effectively competing globally. 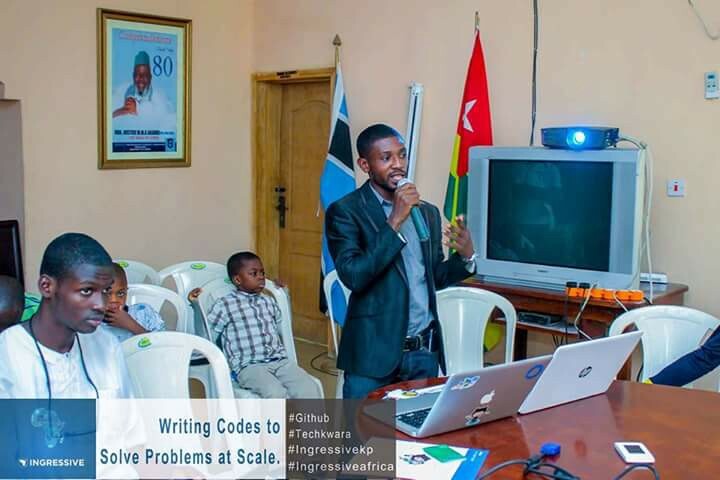 In a process of developing the tech ecosystem in Kwara State, the good work of Honourable Justice Mustapha Akanbi Rtd (CFR, PCA) cannot be overlooked; in his benevolent attitude, he founded a tech hub where youths can collaborate and share ideas on how to use digital skills/technology to propound veritable solutions to social problems. Other notable tech platforms in Kwara are the Femtech tech company which is contributing immensely in Empowering youths with digital skills. Also in this realm is the Founders Hub established by Mr Adeyinka Adekeye. His outfit is a place for technologists, entrepreneurs, business owners to collaborate and share innovative ideas. All these innovation have been a great development and offers hope for the future of the tech ecosystem in Kwara State. 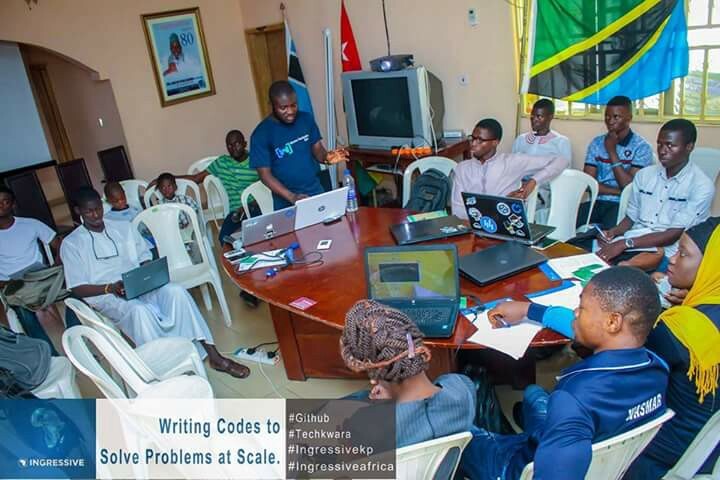 The tech hubs frequently organize events, Seminars, Meetups to educate youths on new digital innovation, a lot of tech groups such as Gdg Unilorin, Women Techmakers Ilorin , Django girls Ilorin, Code Squad, Free code camp Ilorin. Specifically, MAL Hub Tech Community are doing a very good job to share resources among members. 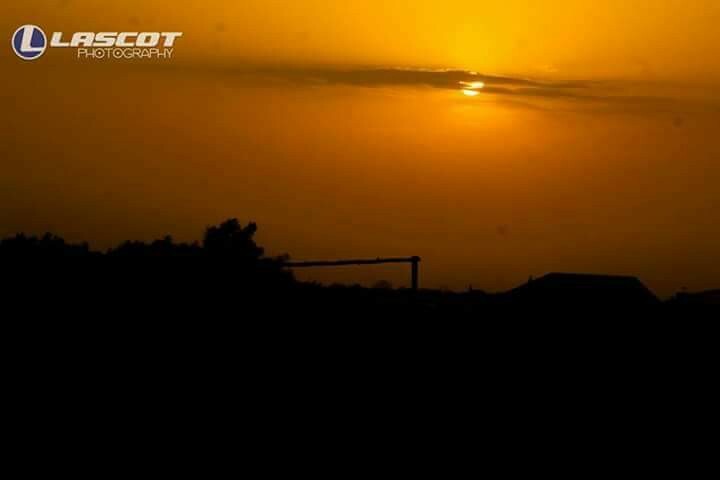 The future of tech ecosystem in Kwara State is bright; MAL Hub, as a leader in the field, is positioned to help anyone willing to acquire the best of digital knowledge. Please join hands with us!